The recently constructed Coral Pavilion caused quite a stir when it was listed for sale on the Turks and Caicos Island of Providenciales. 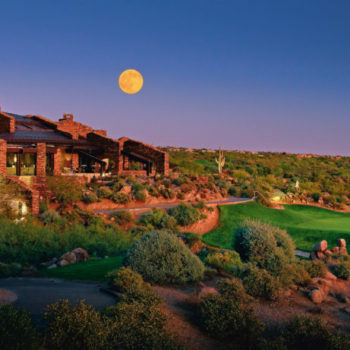 Usually $11 million is a steep price tag for any real estate listing. 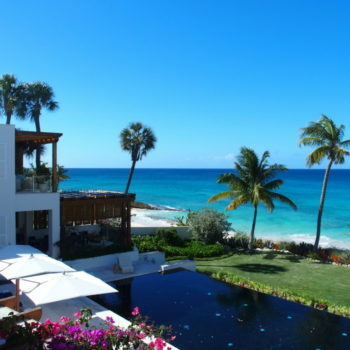 But when you realize what is included in this 8,000-square-foot home perched on the shores of legendary Grace Bay Beach, then there are 11 million reasons why this five-bedroom villa is the steal of the century. There is a saying among real estate agents that they don’t make oceanfront homes anymore. When a sign goes up on Grace Bay Beach, a beach annually ranked as one of the best beaches in the world, the investment sector takes notice. Privacy Meets Convenience | In Turks and Caicos’ tight-knit real estate circles, any property listed on Grace Bay Beach is a hot commodity. Coral Pavilion was built in 2016, and it enjoys a “best of both worlds” positioning. 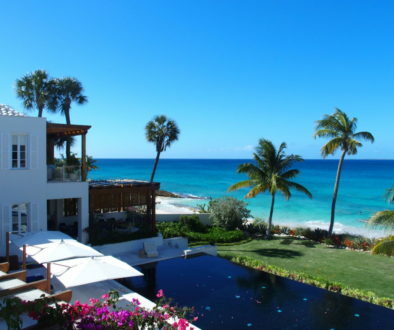 This elegant coral stone villa’s oceanfront location is both convenient and uber private. 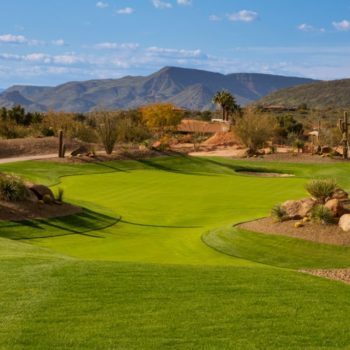 If island convenience is your priority, Coral Pavilion is a mere five minute drive from Providenciales’ restaurant row, Regent Village shopping, and Provo Golf Club. 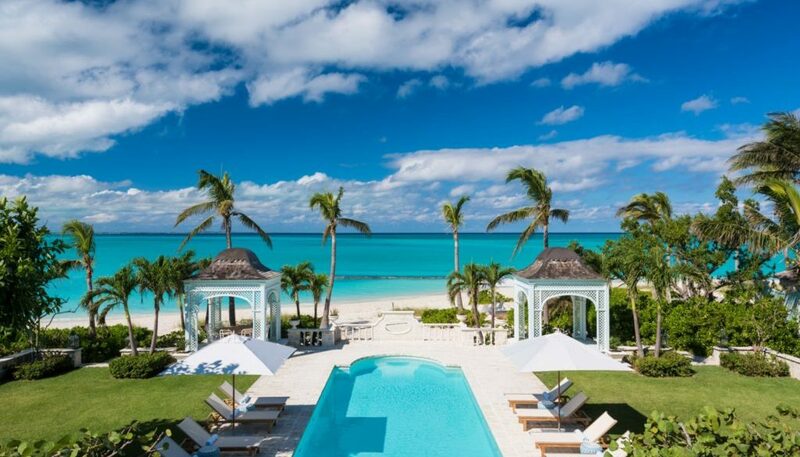 If privacy is why you’re considering a Turks and Caicos retreat, this magnificent 1-acre tropical garden property strategically maintains its distance from Grace Bay Beach and the trickle of traffic heading east to Providenciales’ exclusive Leeward development and Blue Haven Marina. Interior Elegance | The architecture, layout, and flow of Coral Pavilion’s interior are an exercise in subliminal detail. There is an indoor-outdoor feel that works in fluid elegance with its island surroundings. From the imported Dominican tile in the chef’s kitchen, to the French lanterns adorning the spiral staircase, to the inlaid turquoise in the bathroom vanity, to the Frangipani framed fountain, to the subtle placements of the Coral Pavilion logo, this is a home in which beach ambiance and luxury connect seamlessly. The Finest in Beach Entertainment | The entertainment value of Coral Pavilion is a social investment without peer. 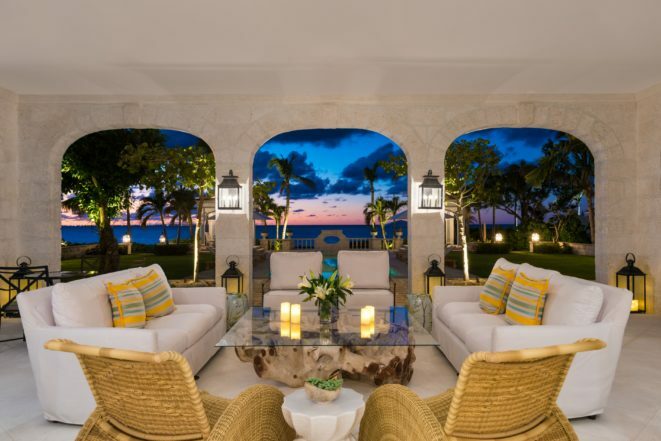 The interior and alfresco dining, the palm tree framed pool, and the option of endless beach walking on Grace Bay Beach, makes this Caribbean home one in which your invitations will rarely receive a “no” from family, friends, or business associates. Romantic Retreat | It’s hard to overstate what Coral Pavilion generates in terms of island ambiance. The visual looking out on the Turks and Caicos version of turquoise water is truly one-of-a-kind. Holidays, anniversaries, and birthdays in this picture postcard backdrop will transform special occasions into cherished memories. Beachwalkers Paradise | What makes Grace Bay Beach special is that you can walk as long as your Fitbit is still under warranty. One day you’ll witness a dolphin matching your pace, on another you’ll find a seashell perfect for a special someone, and on another day you’ll experience a solitude that will make you grateful for this rare Caribbean address. Coral Pavilion is also exquisitely positioned for sunsets that seem to glow for a lifetime. Extracurricular Nirvana | Part of the beauty of the Coral Pavilion locale is the number of diversions that are at your fingertips. Snorkeling, scuba, paddleboarding, island hopping, horseback riding, kiteboarding, and championship golf are all within minutes of Coral Pavilion. What’s also great about your new Turks and Caicos home is that Providenciales has quietly evolved into a foodie nirvana. Restaurants with wonderful ocean views offer fresh seafood, Italian, Thai, Sushi, Teppanyaki, steak, and Turks and Caicos’s trademark conch. Easy Air Access | Over the past two decades, Providenciales International Airport (PLS) has developed partnerships with several major airlines. 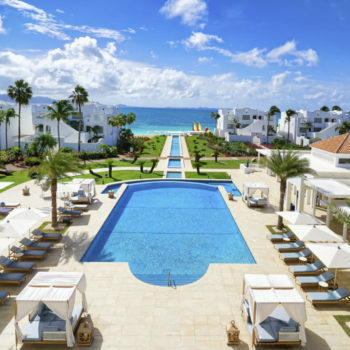 American, Delta, United, JetBlue, Southwest, Air Canada, and British Airways all regularly fly to Turks and Caicos. Private jets are also welcome. 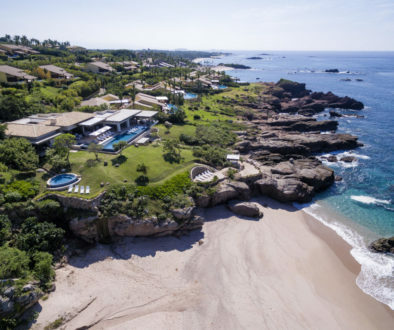 $11 Million View | Showing a home with a million dollar view is the hook that seasoned real estate agents love to deliver. Now imagine telling your potential client that not only are they witnessing a shade of turquoise water that is hard to put into words, the home they are touring is positioned on one of the best beaches in the universe. 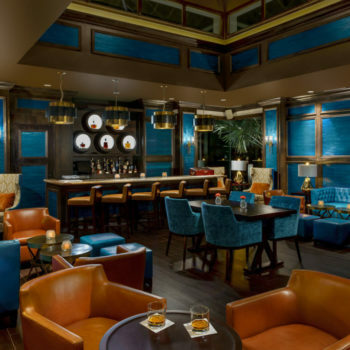 As the sun sets, you imagine yourself enjoying a rum cocktail from your poolside chair at Coral Pavilion. About this same time, the realtor offers a friendly reminder. They just don’t make oceanfront homes like this anymore.